Hey live streamers, this podcast is for you! We had the chance to speak with Tim Vandenberg the Operations Manager over at vMix who does a little bit of everything over at vMix. He was able to give us some insights on vMix's best features, capabilities, the new color correction feature (a personal fave) and more. vMix is a PC based software that is specifically made for creating live videos. vMix was built after the founder, Martin, needed a solution for a live Christmas Carol's production at his church but couldn't find an affordable solution. So he made his own and now we have vMix. Now that vMix has been around for a while they have come out with a ton of great features and are always updating based on customer suggestions. I'm here with Tim Vandenberg of vMix. Tim, do you want to introduce yourself? My name's Tim. I've been working here at vMix since the start. I work as the operations manager, so I look after everything from our trade shows, marketing, social media, testing new features, all that kind of stuff. I cover a lot of different things and wear a lot of different hats around here. We're from the Gold Coast in Australia. We're based out of here and we travel a lot for trade shows, exhibitions, meetings, and that sort of thing. It's a nice place to live. It's winter at the moment, it's about 20 degrees Celsius which is freezing for us. But it's a nice place to be and it's a nice place to base our business out of. For anyone out there who is not aware of vMix, could you give us a little bit of background and tell us about what your company offers and maybe who's using vMix? 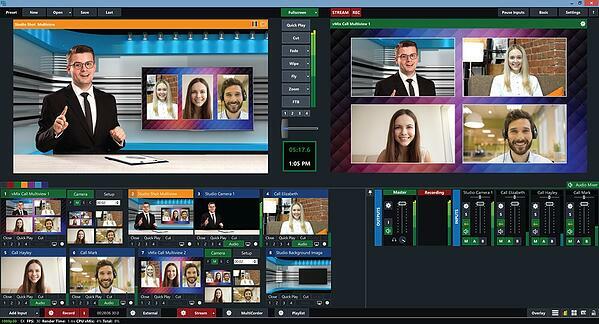 vMix is a PC based software that allows you to create live video productions. Live video productions (the scope of that has gotten larger and larger over the last few years) can now include people doing a basic live stream or a video podcast from a studio or their house, all the way up to large concerts, sporting events, conferences that require multiple cameras, graphics titling, videos, playback, and more. It's a kind of product that works in a lot of different places in the broadcast industry. It's all about bringing in cameras, videos, titling, PowerPoint, websites, and mixing it all together and creating a video production that you can then display on a large screen, record, and you can also stream and send it out to your website, Facebook, YouTube, etc. We have a very wide range of people using it from Fortune 500 companies, major television networks, and big sports corporations, right down to people just doing video podcasts. I've been told vMix has an interesting backstory, and I don't know anything about it. I was wondering if you could tell us how vMix came about? A while ago now, probably in the last decade (the 90's), the founder of vMix, Martin, was doing a [Christmas] Carols production (a video for a church) and he was like, "I need to be able to display the words to the carols and the different cameras and small video things on some projectors in the church. But it's really expensive to rent video production hardware." Big hardware switches that he used to use would cost you thousands of dollars to rent. He decided that instead of doing that he would just build his own! He started from scratch and built his own software to fill a need that he had in doing media production for a live church situation and live events. That's kind of how it all started. We have another business, a parent company, and we didn't see him for a while. Then he said, "I'm going to go do this thing" and we're like, "Ok, that's fine." Then he came back with vMix and the rest is kind of history since then. it's always good to start stuff out of necessity. If you know you need a product, it's really good that other people are going to need it as well. It's a good example of that. We are really excited about the new color correction feature you guys just came out with. I was hoping you could tell us a little bit about that? In the latest version of vMix, vMix 21, we had a lot of people ask us for a way to match their cameras, because ideally you want to be able to match the camera. You want to have the same sort of cameras across the board so you can match the colors and that type of thing a lot easier. That's the best way to do it, directly from the camera and having matching cameras. But obviously, that's not always the case. You'll have people that have a 4 or 8 camera production and they might have six different brands of cameras that they're using. They need a way to be able to match how the picture looks across all of the cameras. We had a lot of requests for it on our forum saying, "Hey, can you build some color correction." So that's what we added in vMix 21. It allows you to adjust the lift, gamma, and gain, so a three-way color correction for individual cameras and your output as well. In order to monitor that, we've added some wave form monitors and RGB monitors for that so people can work out what's going to match all the cameras up to the correct way they should look. It's not something that you would usually find in video production software, and usually you can adjust things like contrast, hue, or some basic things like brightness. But we've added that professional element to production software. 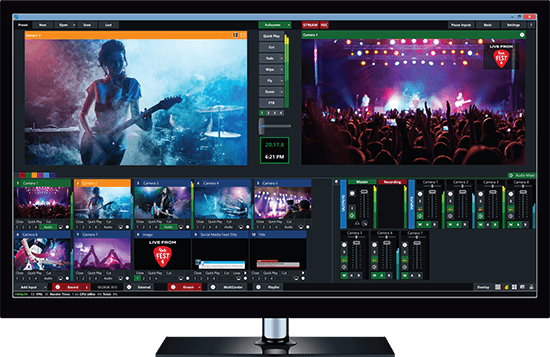 You can get things like scopes and that type of thing, but that's all been built into vMix as well, so you have in all-in-one for your production so you can create really good-looking video across all of your cameras and all your video and production. We have people that work with television networks and that sort of thing that do OTT that do additional streaming type things. They'll do a big television show, like The Voice, or something that involves artists. They'll have a separate stream running at the same time for a green room, or back room for the artists. People that are working the television really need to make sure that all the cameras look correct. So, you don't have a really dark camera here and you switch to another one that's really bright and all the colors are skewed. 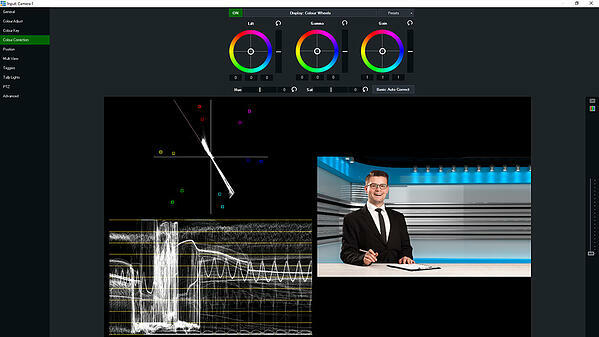 People that are working with more professional situations need a good way to color correct their cameras. So, it's been good and I think it's been fairly well received by everyone. We haven't had too many issues. So, it's been good. Well that is certainly something that sets vMix apart from other streaming software options. What else would you say sets vMix apart? What makes you the best? I think that since we've started, since everything has been built from the ground up to have key performance in mind, I'd say that reliability is a big issue. I know that's not some big fancy feature or anything like that. But, reliability is a big factor for us. We don't want your computer to crash while it's doing a major production. That's not ideal. Reliability and performance as well. We base everything on the GPU instead of the CPU. So, a lot of the video processing gets done on the graphics card alongside the streaming and recording so we can push a lot of the grunt work onto the GPU which makes it a lot more reliable and you can get a lot more performance out of a computer that might not be that great, but it has a good graphics card so you can do a lot more with it. And we think that we have a lot of good features as well. We like to bring out new features all the time. We have in-built video calling so people can get interviewed, and all the audios managed with that. We have a social plug-in which allows you to bring in tweets, Facebook comments, so you can directly live interact with your clients on the air. YouTube comments as well, so you can bring in live interactions with people that are watching. Get to answer questions and ask questions. And a lot of other things as well that I could probably rattle off on. But those are the main things. It's reliable, it has good performance, and it's got a lot of features. And we think it is fairly affordable as well for what it does, for HD video with multiple cameras and recording and streaming. We also have instant replay as well for our uses. So that's kind of a big thing that a lot of people do use in the industry. My next question was going to be about what are your favorite features, but sounds like you already touched on that. So, if you want to expand on that, absolutely, or let us know about anything that else you might want to talk about or updates in vMix's future? My favorite feature, I don't know really, it kind of varies from day-to-day. I enjoy using the in-built support for any midi-controller. So, anyone that's got a DJ device that you can press buttons, we've basically got a button for it on vMix and allow it to do anything. I think we're up to over 300 functions now that you can press a button and you can do pretty much anything that you like. I like the shortcuts, is what they're called. I also like the triggers. So, when I start a video, I can then create a different set of events that happens when that starts. When we do our productions, I press a video to start our intro video, but when it finishes it turns on my microphone and cues my camera, my titles, so I automate that as much as possible. That's always handy, especially for me who doesn't like to put too much effort into my productions. So, that type of thing and the social aspect as well. There are other platforms and options available for adding Facebook comments and stuff, but you do have to pay extra for that. But it's all built into vMix so it makes it that interaction a lot easier. That's probably my main favorite things. Upcoming, we're working on stuff at the moment. We don't have any major announcements for a new feature or anything. It's more...I can't really say too much, but yeah, we're working on stuff at the moment. We have a forum on our website, and we have a feature request section. People can go on there and fill in what they want to have in vMix so they can put in a feature request. (click here for forum) And we usually ask the people to give us a real-world example of how they would want to use this and how you could implement it so we can look at it and weigh up our options for what's going to be a new feature. If people look at our new feature request forum, a lot of the new features in the last five updates have been directly from the forum. If people do want new features, that's a good place to go that way they can have their own ideas. And I go through that. I'm kind of the gatekeeper of new features. If people bug someone about new features, I'm the right person, not Martin. If people go through that, they'll see the most popular ones get selected or the ones that have the most real-world usage. There are some in there at the moment that have gotten a lot of requests over the years, so that's something we're working on at the moment. I know that's all a bit vague and cryptic. But that's kind of what we do and what we've got in mind for an upcoming release. It's kind of a big thing, but not a big thing. People will have to see when it all comes out. YouTube Live vs Facebook Live - Finally a side by side review here. Check out the top 5 ways to live streaming to YouTube here. Live Streaming Software Review - Wirecast vs vMix here. Learn why live streaming is the best way to host a webinar here. Zoom Video Conferencing adds Facebook and YouTube Live options. Learn more here. Skype Meetings for Broadcast. See how Skype adds live broadcasting here. YouTube Live adds new multiple camera switching feature here. When to video conference vs when to live stream… Learn more here. 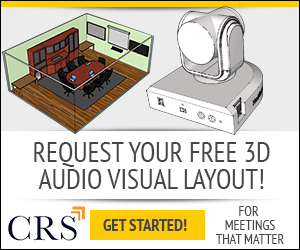 How to host free webinars here. Live Streaming Services for houses of worship. Learn more here.